Amazon's "Alexa" is making it easy to order anything your heart desires, but that might cause a few problems. 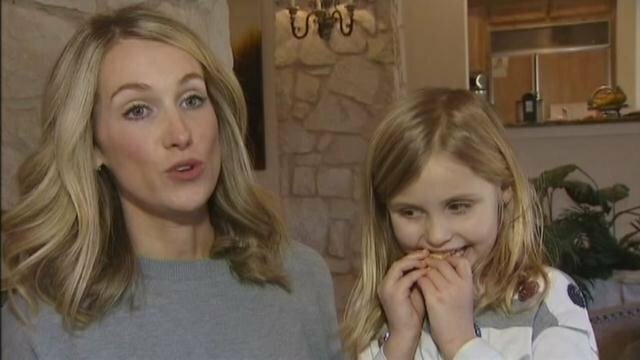 A 6-year-old Texas girl named Brooke told the device to order a dollhouse and cookies. Little did she know, her mom's Amazon account was linked up to Alexa. "I said to her Alexa, 'Can you please order a dollhouse and some cookies?'" Brooke recalled, and fully expected them to arrive. Brooke's mother, Megan Neitzel, says she was surprised Christmas night when she received a notification that her order had shipped. "And I thought I haven't ordered anything today," Neitzel said. Brooke got what she wanted when four pounds of cookies and a nearly $200 dollhouse showed up. The family says they have been enjoying the cookies, but plan to donate the dollhouse. Brooke says the next time she wants something, she'll be sure to ask mom and dad first. So if I get me an Alexa...I can order lots of bags and belts and scarves and bangles....and tell my credit card company that "Alexa did it". Bullshite. The only thing Brooke did wrong is get caught. Don't believe her. Next time she'll know to beat mum to the door when the package arrives, and remove the itemized listing on the credit card bill when it comes.